Its hard to believe, but we're getting super close to Halloween. The kids have been begging to make Halloween treats. 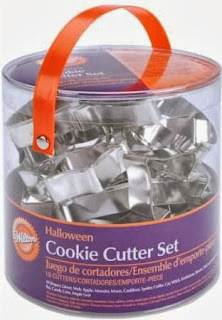 Hop on over to Amazon and pick up the Wilton Halloween Cookie Cutter Set for ONLY $6.89 right now. Keep in mind, Amazon prices can change at anytime, so snag it QUICK at this awesome price!